Robert A. Mackay discusses his work in relation to themes of Environment | Landscape, as part of the Peter Scott Galley & Fine Art Department's Tuesday Talks series. Resounding Mulgrave, a sound-work made in collaboration with John Wedgwood Clarke and Tariq Emam, is displayed in the exhibition which accompanies the Tuesday Talks. The exhibition and talks are part of a wider programme of exhibitions, events and knowledge-exchange in the Peter Scott Gallery, titled Change & Interchange. 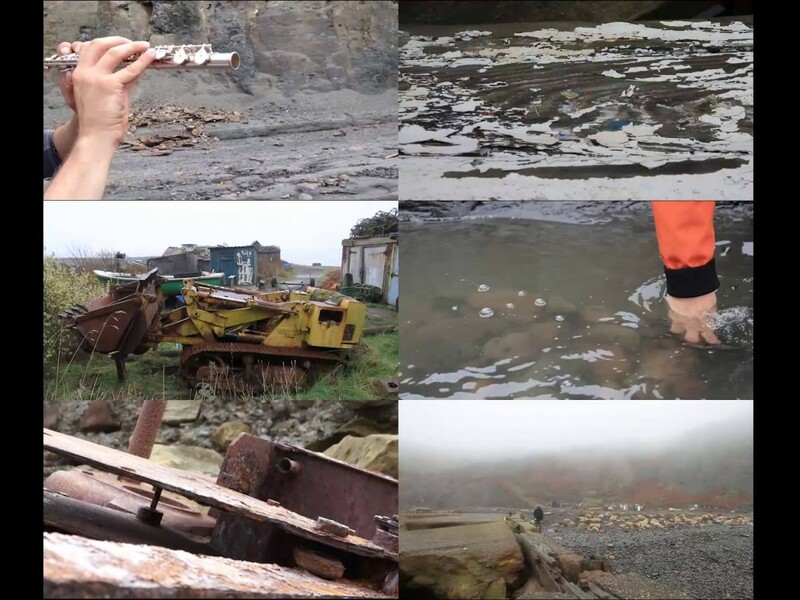 Resounding Mulgrave explores the post-industrial landscape of Port Mulgrave, north of Scarborough, UK. It was one of three artistic interventions exploring and reinterpreting the Rotunda Museum, Scarborough (created by the father of modern Geology, William Smith). It was commissioned by Scarborough Museums Trust as part of the Dictionary Stone project curated by Lara Goodband, and supported by Arts Council, England. Rob Mackay is a composer, sound artist and performer. He gained a degree in Geology and Music at the University of Keele, studying composition there with Mike Vaughan, before going on to complete a Master's and PhD with Andrew Lewis at the University of Wales, Bangor. He has held composer residencies at Slovak Radio (Bratislava), La Muse en Circuit (Paris), the Tyrone Guthrie Arts Centre (Ireland), and Habitación del Ruido (Mexico City). He has played, written and produced in a number of bands including the Welsh Hip-Hop collective Tystion with whom he collaborated alongside John Cale on the film A Beautiful Mistake (Film 4), as well as recording two John Peel sessions on BBC Radio 1 and supporting PJ Harvey. The band have a chapter devoted to them in Sarah Hill's book 'Blerwytirhwng?' The Place of Welsh Pop Music (Ashgate 2007). More recently, he has done session work for Super Furry Animals producer Gorwel Owen, songwriter Euros Childs, and is enjoying playing in the Welsh Afrobeat collective Drymbago, supporting Quantic at a recent gig. He is currently collaborating with percussionist Dame Evelyn Glennie on the Ruskin Rocks project, led by a team of scientists and musicians at Leeds University who have created two new stone instruments (lithophones). By John Wedgwood Clarke and Rob Mackay with technical and artistic support from Tariq Emam. Commissioned and curated by Lara Goodband for ‘Dictionary of Stone’ supported by Arts Council England.